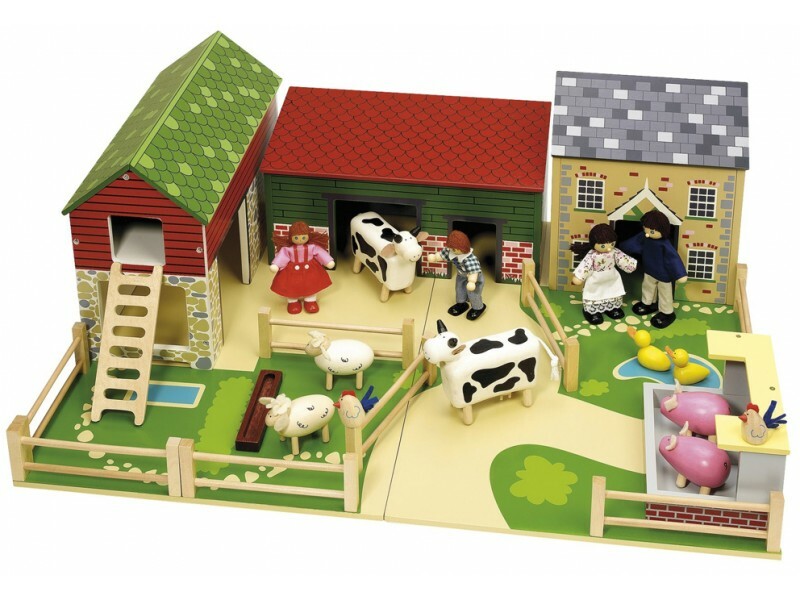 Oldfield Farm is a magnificent toy farm which will provide hours of fun for children who will also begin to learn about the environment, how farms work and looking after animals. 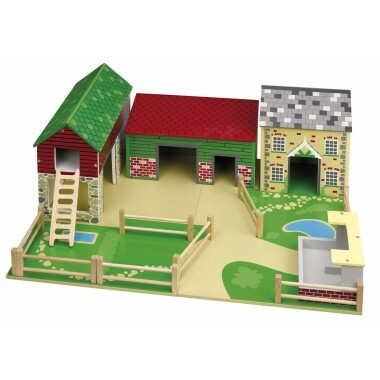 This fantastic wooden farm has a barn with loft and exterior loft ladder, a farmhouse, an animal shed, a pig sty and fences to be arranged as appropriate. 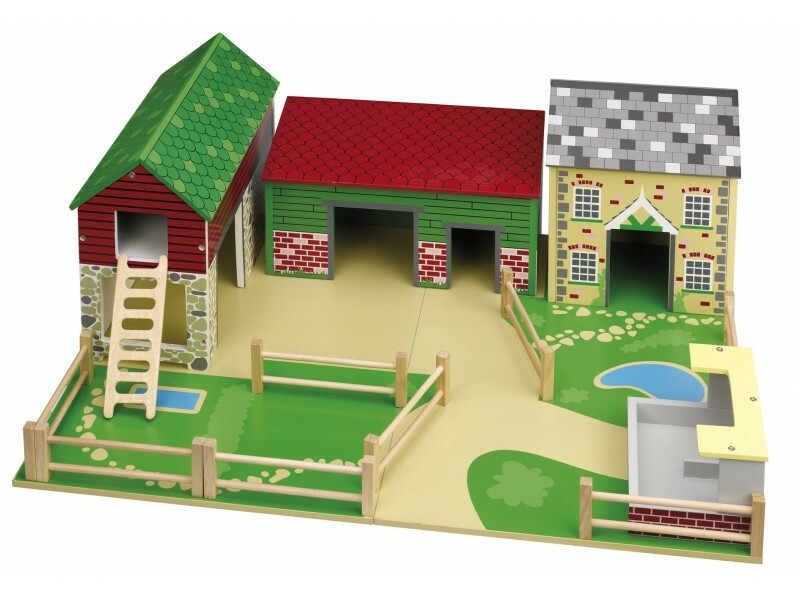 The farm has a wooden base to help keep all the pieces together and the roof panels are attached with magnets which allow children to remove the roofs for additional play possibilities. 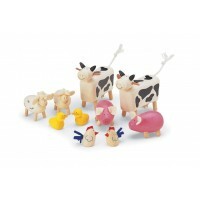 Farm animals and a farm family are available separately. 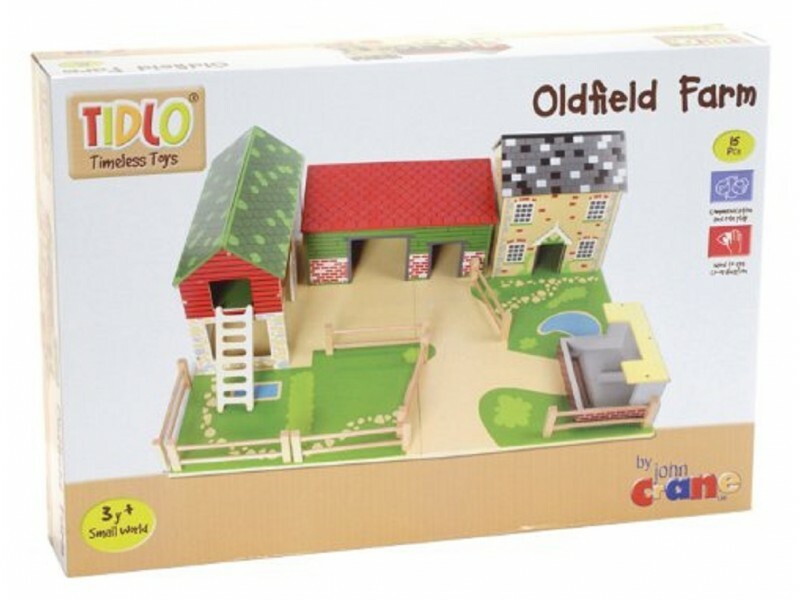 To read an in depth customer review of the Tidlo Oldfield Farm, click here. 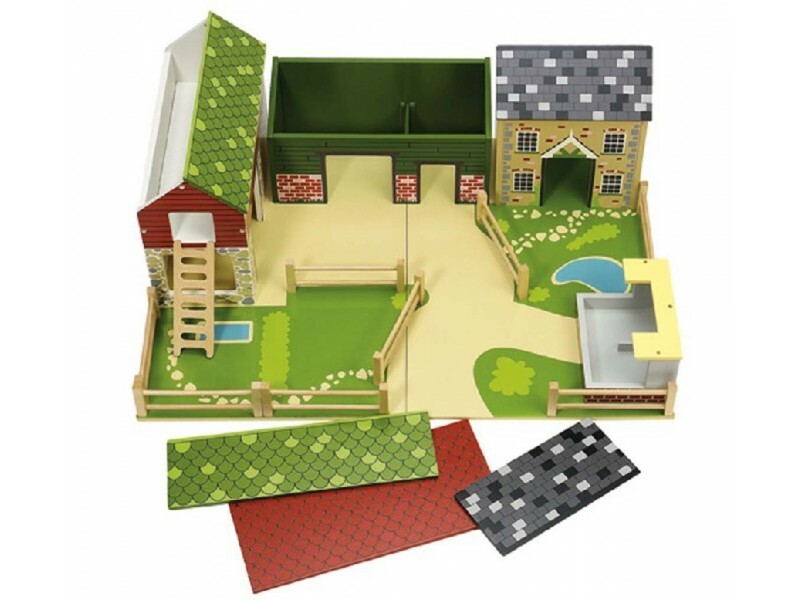 easy to assemble, good quality materials and lovely colours. 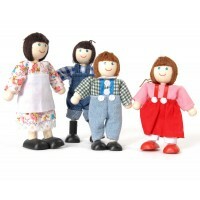 exactly as described and pictured. 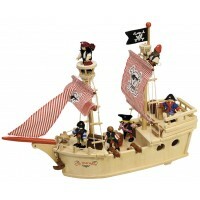 It is intended as a gift for my granddaughter so not played with yet but we have assembled it ready and it has plenty of potential play value.